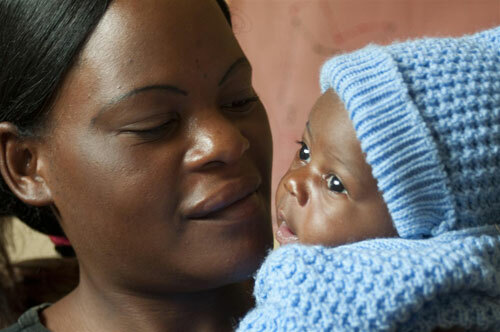 Children born with HIV can live longer and richer lives if their caregivers receive training in ways to enhance the children’s development, according to research led by Michigan State University. The program also reduces depression in the caregivers which, in most cases, are the children’s HIV-infected mothers, MSU researcher Michael Boivin and colleagues report in The Journal of Pediatrics. Funded by the National Institutes of Health, the study involved a training program called Mediational Intervention for Sensitizing Caregivers, or MISC, which uses day-to-day interaction at home to enhance children’s social skills, language and cognitive ability. “MISC is about training mothers or other caregivers on ways they can be sensitive to their child’s natural tendencies to learn, and to direct those tendencies in everyday life to enrich the child’s development,” said Boivin. The study involved 120 preschool-aged children with HIV living in rural Uganda. Their primary caregivers were randomly assigned to receive childcare training through MISC or through an education program focused on improving children’s health and nutrition. Somewhat surprisingly, there were significantly fewer deaths from diseases that take advantage of the patient’s compromised immune system in the MISC group than among other children, suggesting the training may help pediatric HIV patients live longer.